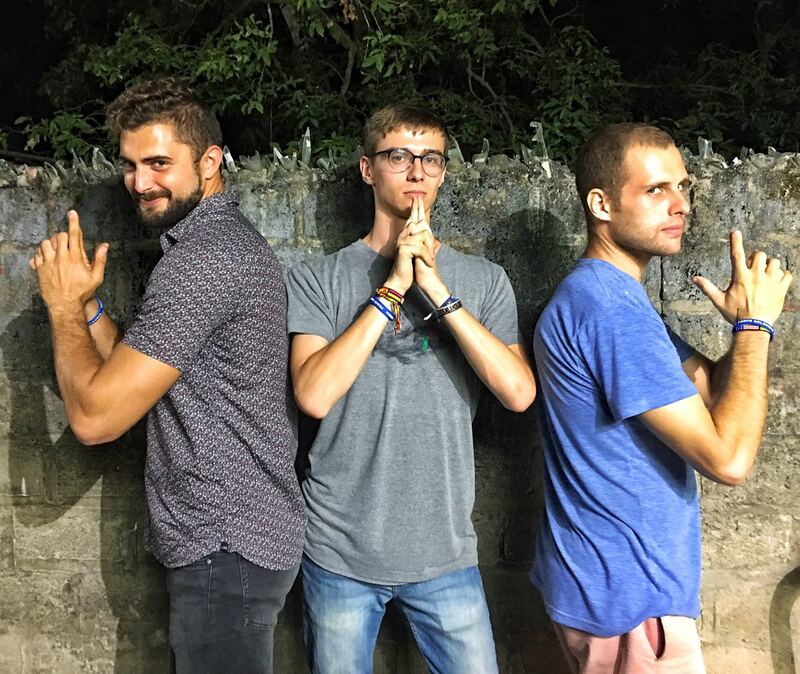 While thinking about failures we face in the Peace Corps – I thought I didn’t have any relevant stories to share because I haven’t had any major struggles doing what’s expected of me as a volunteer. At the same time, it hasn’t been smooth sailing since I arrived at site; I have come across various roadblocks along the way. Then it dawned on me. The little things (like washing my clothes, cooking food, cold hose showers, and the HEAT) have been the biggest struggles in my daily life. I guess you can say that I lived a privileged life growing up, having an excellent washing machine that did all the work for me and an excellent grandma that cooked all my meals. It wasn’t until I went to college and then lived in Spain that I started to do these pesky chores on my own. But even then, I spent a lot of time eating out or would share cooking responsibilities with roommates. In the first few months of my experience as a Peace Corps volunteer in Colombia, I realized that mundane, everyday tasks would become my failures if I didn’t create new habits. I already don’t know how to cook, but having to go out and buy my own food and navigate Colombian grocery store culture has been a whole other challenge in itself. Not to mention that there is no supermarket in my town, and options are limited to tienda food – which consists of typical Colombian ingredients and the basics: eggs, vegetables, rice, flour. The local diet consists of a lot of fried foods like yucca, rice, bollo, and meat that has been sitting out, which I don’t particularly care for. Most of us don’t have access to ovens, microwaves, or toasters. So yeah, things are more complicated. I do know how to wash clothes, but with a proper washing machine and dryer. I never learned how to use buckets of water to fill the machine, wash the clothes in the machine, and then wash again by hand (because the machine doesn’t do much) to rinse out the soap and hang them up one by one. They don’t teach you that in college. After a long, hard few weeks of managing Colombia’s conflicting cultural differences, I decided to spend a Saturday at home washing my clothes and taking it easy, but before I knew it, I was frustrated once again. I had been in the patio washing my clothes by hand when I went to dump a big bucket of dirty water and dropped it on my foot, shattering the sun-rotted plastic. It was just a bucket, but it was the only one we had for washing our clothes. If didn’t find another one quick I’d be out of clean clothes tomorrow. It’s crazy how such a simple task can be an epic failure, but that broken bucket was a breaking point for me, releasing all my self-pity and regret for what I’d signed up for. In the end, my host mom bought me a new bucket and I moved on. But at that moment, I was overcome by all of the tiny things that seemed to be ruining my life, as if Colombia’s blazing heat hadn’t made the day tough enough. OKAY, Edie, I am hungry. I need to eat. *Checks fridge* *Realizes I have no food there*. Okay, I am going to cook some pasta because that is simple. Step 1: Go out to a local tienda and buy some pasta. At the tienda, I tell the employee that I need a box of pasta and hand him a 20 mil bill. He tells me he needs a smaller bill because they don’t have change. Step 2: Go to a bank and ask for change. I return to the store with the exact change and buy some pasta. I go home and finally settle in to cook my meal, look at this odd oven contraption in front of me, and realize I need to turn it on. There are only matches to light the fire with, I don’t know how to use matches, and there is no lighter. Step 3: Go to another tienda and buy a lighter. I then return home, go to fill the pot with water, and realize there’s no water. Step 4: Go outside and turn on the switch for water – if there is no running water, take a small bucket and fill it up with the tanque water to put in the pot. Okay. Finally, I fill up the pot, turn on the oven with the lighter, heat up the pasta, and “YAY I DID IT, I’M ALMOST DONE. I JUST NEED TO STRAIN THE PASTA AND GET RID OF THE EXTRA WATER AND….” Oh, shoot. I start looking around… and realize there is no strainer. I start searching through drawers and boxes and don’t see any. Step 5: In a panic, call my host mom to ask where a strainer is located in the house. She tells me there is one in a box under the table… I find it, strain the pasta, pour it in a bowl and -oh darn, I realize I forgot to buy sauce. Soggy, sauce-less, pasta is served for dinner. Bon appétit! Needless to say, I have mastered the art of washing my clothes. As for the food… my host family now makes all my meals. You win some, you lose some, am I right? I am going to conclude with a positive note – that in the Peace Corps, we learn to choose our battles. Sometimes, we are going to struggle with things that seem insignificant in the long run. My failures to wash my clothes and cook food really isn’t that big of a deal. I have learned how to solve these seemingly insignificant problems and use humor to get through it. If I can cook and clean my clothes in coastal Colombian, I can do that anywhere.